Do you have pets that occasionally drag in fleas from the outdoors? We’re sure that you try to keep up with their flea control regimens, but occasionally you may slip up, or the products may not work properly. If you have a major flea problem on your hands in your Minnetonka home, the time is now to call the pest control professionals at Eco Tech. We’ve been providing our comprehensive flea control services for decades and would be happy to come out to provide a free estimate. Have you had a tenant leave you with a home, or apartment infested with fleas? If so, it’s critical that you contact a licensed pest control company that can come in to deal with the situation. Fleas can be extremely hard to see and the last thing you want to do is rent your property to new tenants who will immediately complain of flea problems. If you suspect that one of your properties may be infested with fleas, do yourself a favor and call Eco Tech today. We’ll come out to your property, assess the situation and create a plan to rid the area of fleas once and for all. While flea bites are annoying and often itch severely, they can also be dangerous. 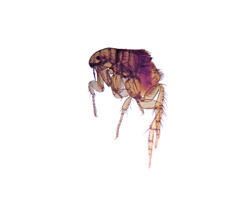 Occasionally fleas can carry certain diseases which can be harmful to humans and pets alike. Don’t wait until you have a full blown flea infestation on your hands. Call Eco Tech at the first sign of fleas in or around your home. When most people think of flea treatments they think of spraying chemicals indoors to get rid of the pesky pests. While this is effective, at Eco Tech, we also spray outdoors to greatly reduce the number of fleas in your yard. This way your pets and kids will be less apt to bring fleas in from the great outdoors. In addition, we use chemicals that prevent any existing fleas from reproducing, which stops the reproductive cycle of any living fleas in its tracks. Stop putting off hiring a Minnetonka exterminator to deal with your flea problem. At Eco Tech, our flea control services are proven and will allow you to enjoy your home once again. Give our team a call 24/7 at 763-785-1414 to setup a free consultation with one of our pest control experts.